Details: This heavy pallet wrap is durable. Because it is transparent, you can easily identify the packaging on the pallet underneath the wrap. 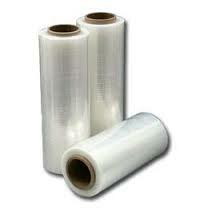 Includes 4 rolls of 18 x 1500 ft pallet wrap per case.